Here is another photo of Cottesloe Beach from Saturday afternoon. I was just tinkering trying to get different shots of Cottesloe Beach because lets face it almost every angle of this place has been covered. For good reason though, its a great place to be and a great place to shoot. I think winter is just as much fun to shoot Cottesloe as summer as you can get some really dramatic images even without the colour of a summer sunset. I didn’t realise it at the time but it looks like Dylan was just down the road shooting the same sunset as I was. I hope you’re all having a great start to the week, I know I sure am. 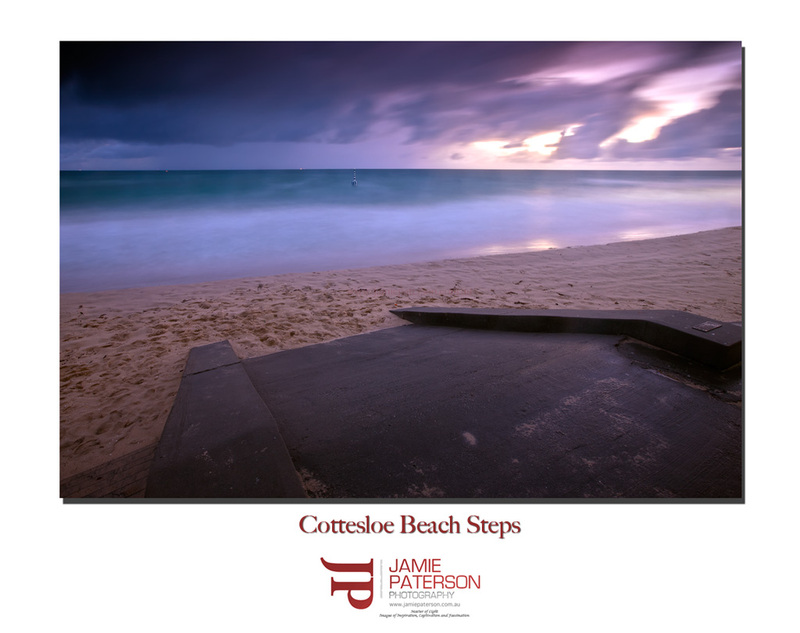 This entry was posted in australian landscape photography, australian seascape photography and tagged australian landscape photography, Australian Landscapes, australian seascape photography, coastal photography, cottesloe beach, cottesloe storm, cottesloe sunset, jamie paterson photography, landscapes, perth, seascapes, western australia. Kinda simple and it kinda works Jamie! Thanks mate. Was just trying to get another angle of Cottesloe. I think it works. Thanks for that. I’ve got something even better lined up over the next few days. I’m just waiting for the right weather. Stay tuned!